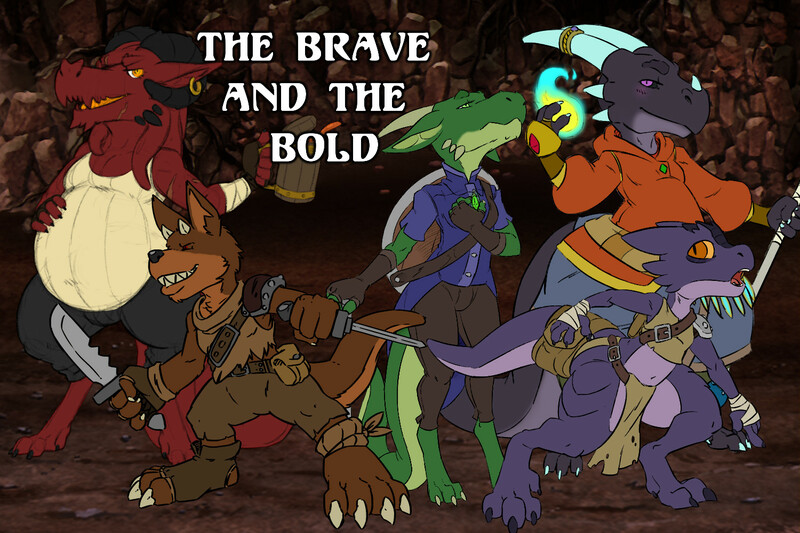 Here's the lineup for an all-kobold DnD5 game I'm part of. We're pretty much destined for failure. An ale-soaked veteran and heir to draconic lineage, his fiery temper is tempered by ale, which ironically helps fuel his fiery breath. A weird little mutant with more daggers than sense. He pays fealty to 'Dragon', a diety he apparently worships that nobody else has heard of. A regal and righteous kobold attuned to the nature of stone. Her lust for lost legends led her to awaken her power to become stone itself, affording her untold excitement and awakening a dangerous transformation fetish. The cutebold of the party, Nil backs up Nil with extra sneaky stabbins', but improves upon his skillset by proving far too adorable to retaliate against. Wielder of potent draconic magics, Sucil brings grace, wisdom, and weaponized THICCNESS to the party on a quest to one day fully emulate the most powerful aspects of the dragon. Art courtesy of the awesome Min.